There are certain rules that you should follow in life: Never eat yellow snow; don’t fry bacon when naked. You get the picture. But there’s also one I was taught years ago: never drink brown spirits if you don’t want a horrific hangover the next day, stick to clear spirits. But like all good rules, it’s there to be broken. And this festive dark and stormy is definitely one to break the rules for. If you’re a whisky lover you are probably horrified by that rule, but it’s severed me very well over the years. A dark and stormy or three is usually why I’d break this rule though. 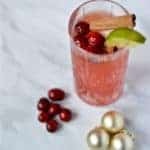 They are one of my favourite cocktails and this festive take is so simple, yet so delicious. You can make a festive dark and stormy in a glass for yourself or make pitchers to get your Christmas party up and dancing. Although be warned, they are deceptively tasty. A traditional dark and stormy is made of four things: rum, simple syrup (essentially a sugar syrup), lime juice and ginger beer. 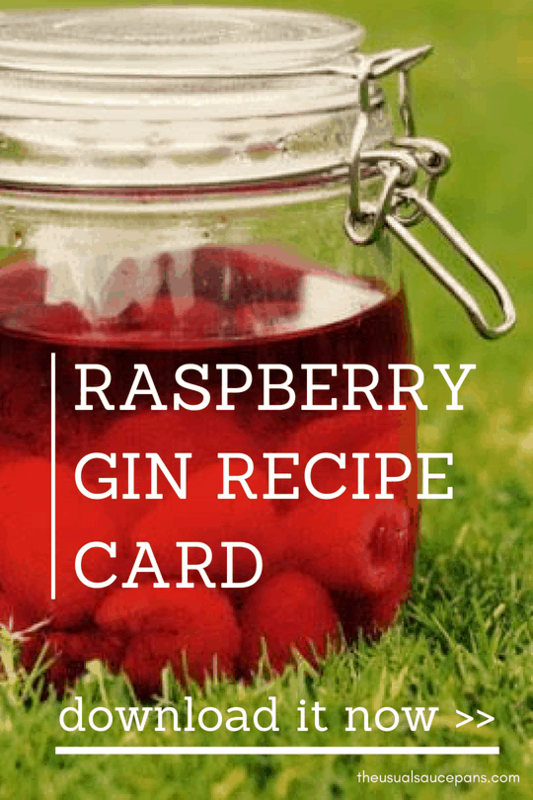 This version has had a bit of a festive makeover, with the addition of cinnamon and cranberry. These two flavours both go well with the sweet spiciness of the rum and the heat from the ginger beer. All in all, it’s something utterly delicious and drinkable. I made a cinnamon simple syrup by boiling sugar, cinnamon sticks and water and then reducing it down to a syrup. 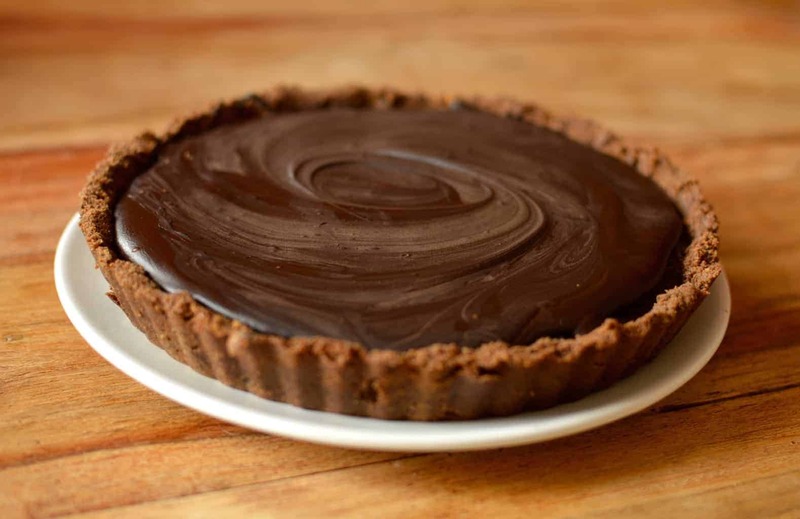 If you want a shortcut – and let’s be honest, we all do most of the time – you could switch this step for a little maple syrup mixed with ground cinnamon. This won’t give quite the same depth of spice, but if you’ve got a good ginger beer, this will just add a little sweetness. 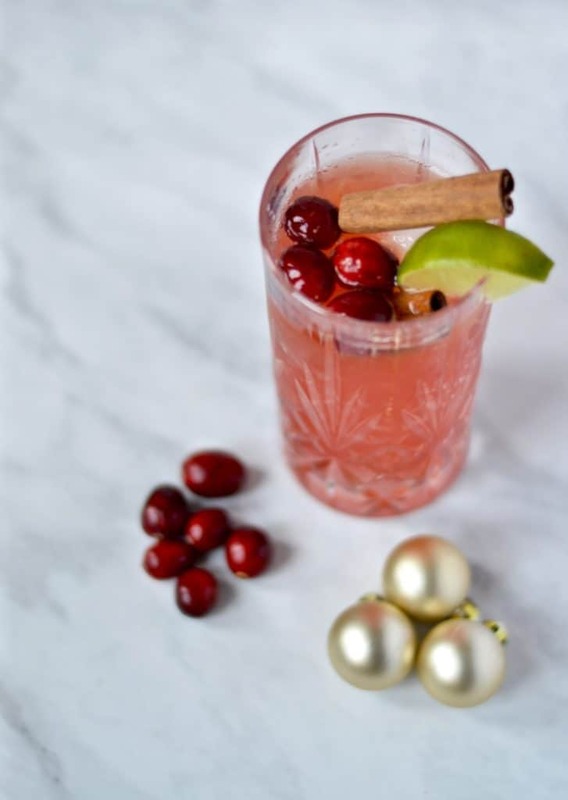 This is the Christmas cocktail that you need in your life this year. 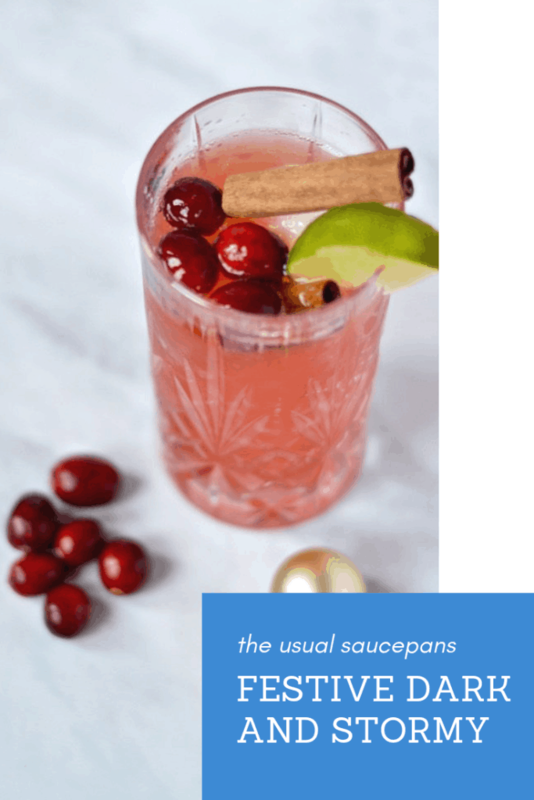 Whether you’re looking for a bit of warmth in your drink or something with enough flavour to drown out awkward chat with your relatives, this is the festive tiple for you. Fill two tall tumblers or highballs two-thirds full of ice, then add the rum and both the maple syrup and cinnamon. Mix a little. 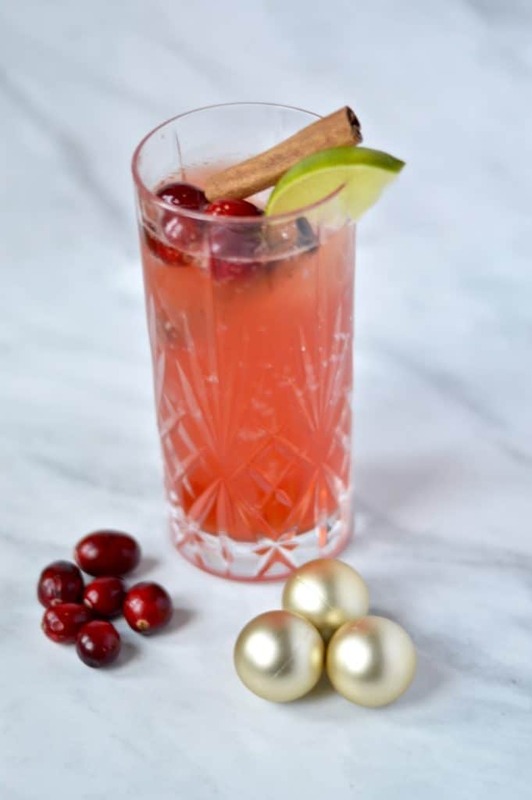 Add in the other ingredients one by one: cranberry juice, ginger beer, lime juice and garnishes. Add all the ingredients into a cocktail shaker and shake gently, pour into glasses.